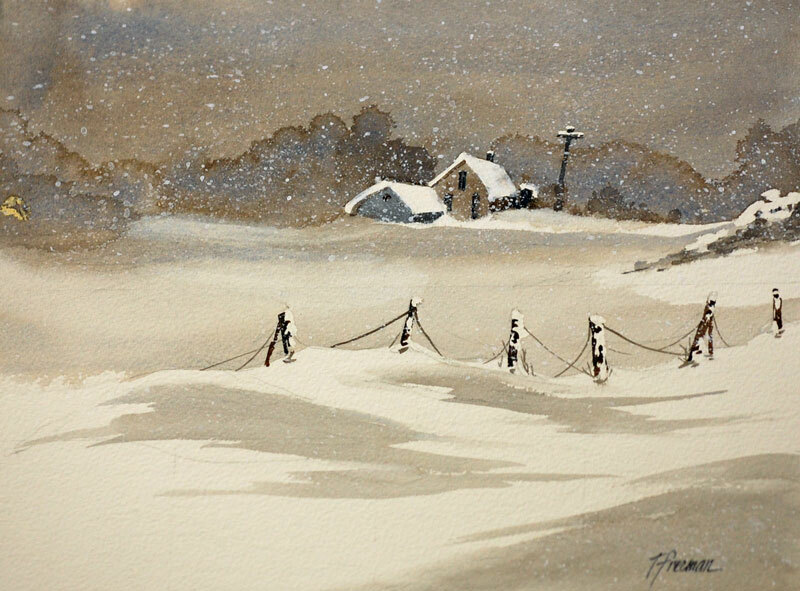 Thomas Freeman Original Watercolor Painting: "Blizzard, No School Today"
How familiar. A dark leaden sky, strong wind and a heavy, wet snow. No school. The kids loved it. Adults could only think of the work clearing the snow and getting to work. But the changes in the landscape are a boon to artists--everything looks different.